Irinox Home Collection is intelligence, sensitivity and desire expressed by 4 products created to put the soul into cooking. The kitchen becomes a place where health and wellbeing reign. Design is enhanced by intelligent, people-friendly technology aimed at increasingly dynamic, balanced lifestyles. For us. For nature. For the pleasure of eating together. Attractive on the outside, fresh on the inside. Zero is the first built-in professional-standard vacuum sealer that can reach a vacuum close to absolute zero, which truly slows down the ageing and oxidation of food. This is a superior quality, absolutely natural process that is extremely effective in keeping the properties of food intact longer, without compromising nutrients. in which case they come with a black glass control panel and a steel handle. Zero is indispensable for vacuum cooking and preserving food in the fridge up to five times longer. The soft-touch control panel is used for quickly setting three different degrees of vacuum and for selecting pre-set cycles for marinades, meat ageing and liquids. Zero is extremely flexible: it adapts to different needs, even the most demanding, to create customised settings according to the type of food and the required result. 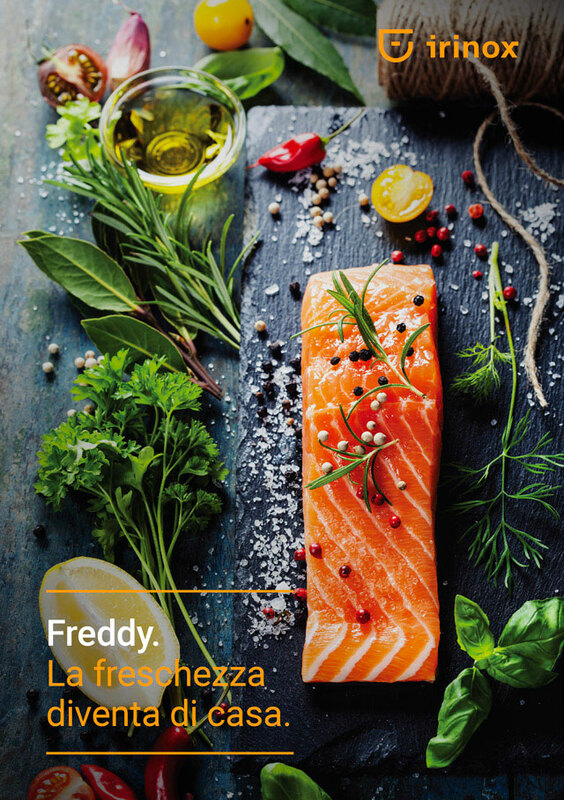 Zero also makes it possible to prepare food for sous-vide cooking in water, with Freddy or in a steam oven. are appreciated by the most delicate. For vacuum packing delicate food such as soft cheese, cakes, salads and anything that easily crushes. This function is used to hermetically seal vacuum bags by simply heat sealing them without necessarily creating a vacuum. This function is used for vacuum packing most food, such as cooked vegetables, fruit, tender meat, pasta and liquids like soup, cream, sauces and jam. The ideal programme for vacuum packing solid food such as raw vegetables, hard cheese and cold cuts, and for preparing food for perfect sous-vide cooking. Zero’s meat ageing programme takes just a short time to tenderise meat. With this procedure the meat undergoes repeated vacuum cycles so that its fibres become softer and ready for cooking. The vacuum cycle can be repeated 2 to 15 times. This programme is used to marinate food perfectly. The vacuum created in this cycle ensures that the oil and spices in a bag containing meat, fish or vegetables are quickly absorbed to flavour the food. On average marinating lasts 5 minutes, but the time can vary from 1 to 15 minutes according to the cut of meat or size of the fish. The vacuum programme for liquids is used to seal bags containing cold liquids, such as soup, sauces, ragout or jam. Designed to help you create a personal stock of seasonal jam, preserves and pickled produce. It’s the ideal function for mothers who want to prepare their own baby and infant food. Slow down food ageing and oxidation with Zero. Zero is commercial standard technology which extends food storage life and enables you to try the innovative vacuum cooking method which has been used for many years by restaurants all over the world. The main advantage of removing the air, i.e. of creating a vacuum, is that it slows down food ageing and oxidation. Even the containers used (bags, boxes, jars) play an important part as they retain the right amount of moisture for their contents. Zero is the built-in vacuum sealer that reaches 99.9% vacuum capacity. Vacuum packing removes air from a food container thus slowing down ageing, oxidation and deterioration and significantly increasing food life (up to 5 times). With Zero, food can be vacuum packed in special vacuum bags, in vacuum boxes with lids and in traditional glass jars. Zero is available as a built-in model in two heights, 45 cm or 60 cm, and is made entirely of stainless steel with a scotch brite, no-smudge or coarse satin finish, and comes with an easy-to-use, intuitive, soft-touch control panel.